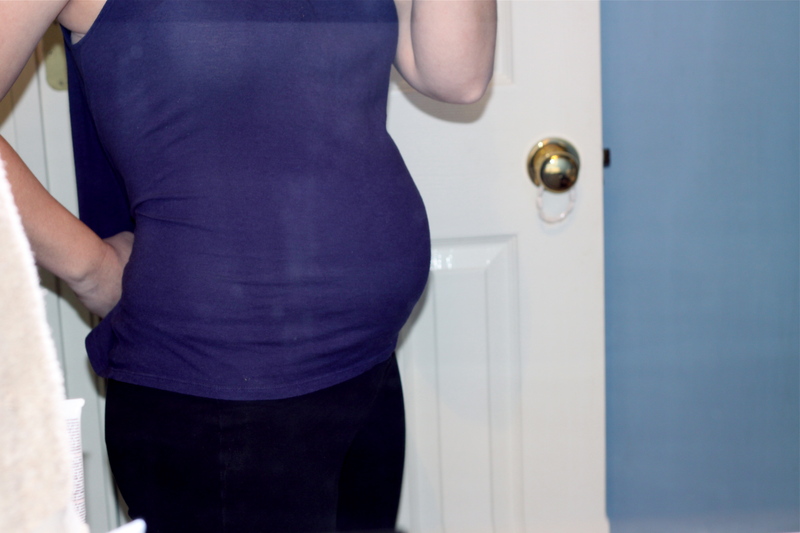 Maternity clothes: I’m wearing one pair of maternity pants. They’re too big, but the elastic waist is fantastic. I can still fit into a pair of my “fat” pants. I’m still wearing regular shirts, but hopefully the weather will warm up soon so I can wear my maternity tops. They’re all pretty much tank tops. Sleep: I’ve been staying up until at least 10pm on most nights. If I’m not feeling well I’ll go to bed earlier, and somedays I’ll take a nap. I wake up a few times a night to go to the bathroom, and it takes me forever to fall back asleep. I’m pretty much in a constant state of feeling tired. Best moment this week: Heard the baby’s heartbeat this morning. My doctor found it right away. It was nice and strong at 143. Gender: I find out in 3 weeks! Movement: I’m pretty sure I’m feeling the baby move. There wasn’t one definite time that I just knew it was the baby like I felt with Peyton. What I am looking forward to: Finding out the gender so we can name him/her. What I miss: Living in California, but that has nothing to do with being pregnant. ha. Words Of Wisdom: I don’t have any words of wisdom. I did want to say that I can drink milk without throwing up again. yay! Sorry this picture is so horrible. I keep forgetting to ask Cory to take one. I don’t always look this big. I’m stuffed from lunch. Look at that belly! Yay for just 4 pounds gained. That’s really good, Kim!